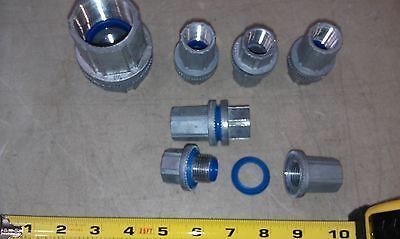 ITEM DESCRIPTION SET OF (4) 1/2" NPT CONDUIT CONNECTORS (DIV2 EFG TYPE 4) (1) 1-1/4" NPT CONDUIT CONNECTOR, VERY GOOD CONDITION SHIPPING DETAILS STANDARD SHIPPING IS PARCEL SELECT USPS. UPGRADES TO PRIORITY MAIL MAY BE AVAILABLE. PLEASE PROVIDE A STREET ADDRESS IN CASE UPS IS UTILIZED. IF FREE SHIPPING IS OFFERED, IT IS ONLY FOR THE 48 CONTIGUOUS STATES (AK, HI, PR, GU, APO, ETC ARE SUBJECT TO AN ADDITIONAL FEE). ANY RETURNS MAY BE SUBJECT TO A 25% RESTOCKING FEE. 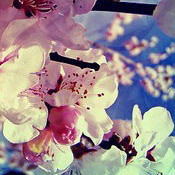 ANY AND ALL CUSTOMS / DUTIES ARE THE RESPONSIBILITY OF THE BUYER. ITEM CODING 150465 5EE 64 26-Feb CURB 5EE64 ELECTRICAL SET OF (4) 1/2" NPT CONDUIT (DIV2 EFG TYPE 4) (1) 1-1/4" NPT CONDUIT VGC P28238 2#4 NET 19.55 FREE F/R Powered by Turbo Lister The free listing tool. List your items fast and easy and manage your active items.